CUYAHOGA FALLS – James A. Moffitt, age 91, passed away peacefully on Tuesday, September 11 with his loving wife Vivian at his side. He was born on May 17, 1927 in Akron, Ohio. 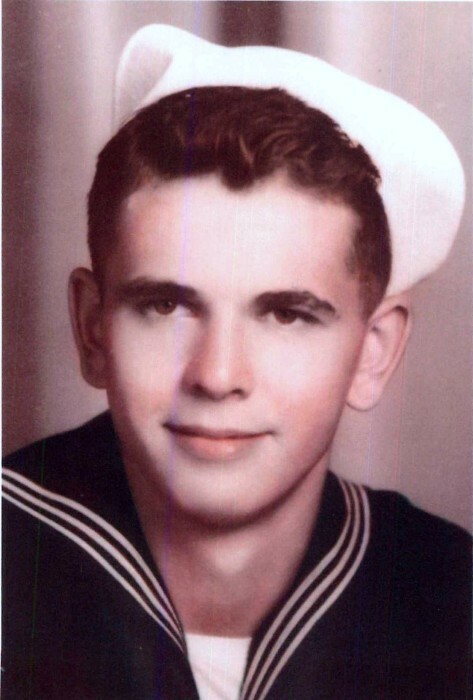 After graduation from Cuyahoga Falls High School, he served his country in the U.S. Navy from 1945-47 as an aviation machinist mate. He retired from The Firestone Tire and Rubber Company in 1989 and spent much of his retirement enjoying golf and fishing, as well as many travels and activities with his wife Vivian. In addition to his parents, he was preceded in death by his beloved first wife Marian Rita (Nelson), sons Patrick and Joseph, brothers Frank and Tom, sisters Annie Jo, Mary, and Helen. He is survived by his wife Vivian, son Robert (Susie) Moffitt and daughter Mary Rita (Tim) Chancey, step-children Diana (Paul) Wulff, Donna (Steve) Avramovich, Frank Knapp, and Michele (Dirck) TenBroeck, brother Bill (Pat), sister Agnes, and sister-in-law Gene Considine. He also leaves behind 7 grandchildren, 8 great grandchildren, 2 step grandchildren, 2 step great grandchildren, as well as numerous nieces and nephews. Mass of Christian Burial will be held 10 a.m. Saturday, September 15, 2018 at St. Joseph’s Catholic Church, 1761 2nd St., Cuyahoga Falls, Ohio 44221. Friends may call Friday 7 to 9 p.m. at the Clifford-Shoemaker Funeral Home, 1930 Front St., Cuyahoga Falls, Ohio 44221. Interment Holy Cross Cemetery. In lieu of other remembrances memorials may be made to St. Joseph’s Catholic Church. Services entrusted to Clifford-Shoemaker Funeral Home and Crematory, 330-928-2147.